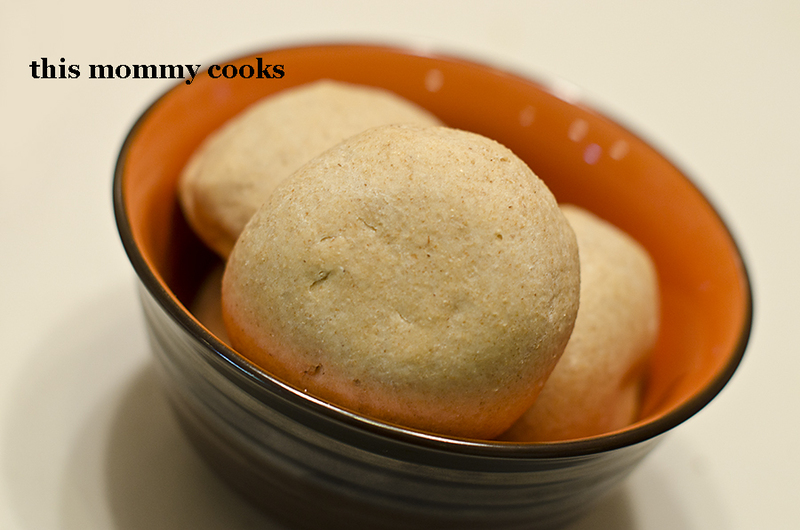 Homemade dinner rolls in 30 minutes? I'll take that! I previously told you about this dough in my quick(er) cinnamon roll recipe last week. It is great. I of course used white whole wheat flour in mine, but you could substitute that for all purpose flour. Mine were a bit more dense since I used the whole wheat, but they were delicious and gobbled up on Easter. The thing that makes these rolls rise so quickly is that you use so much yeast. It isn't a mistake, it is two tablespoons! If you haven't experimented with yeast yet, I think now is the time! In the bowl of a stand mixer, combine warm water, oil, yeast and sugar; let rest for 5-10 minutes or until frothy and bubbly. With a dough hook, mix in salt, egg and 2 cups of flour until combined. Add remaining 1/2 cup flour at a time (dough will be sticky). Lightly grease your hands. I used nonstick spray. Shape dough into approximately 12 round rolls and place on lightly greased baking sheet. Allow to rise for another 10 minutes or so. Bake for about 10 minutes, until golden brown in preheated oven. Mmmm! I am going to have to try these!